I will refrain from making obvious statements about leadership, but I am extremely happy that the government is reopened. Hopefully, they can figure out how to get back pay to those affected outside of the normal pay period process which would make them wait about two weeks more! The rain is falling, or rather it is hitting the Earth in sheets of water much like Noah must have experienced. 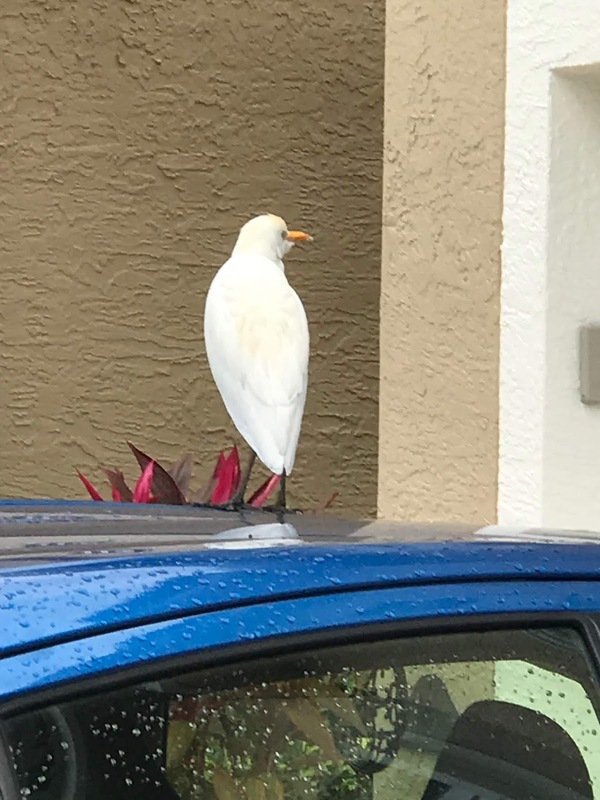 Yesterday, however, before the rain, we were able to get out for a walk and I came across this bird sitting on a car. The bird seemed as if it owned the car. It did not fly away as I tried to get better images of it, but it jumped onto the hood of the car, making it difficult for my attempts to capture the bird on the car. 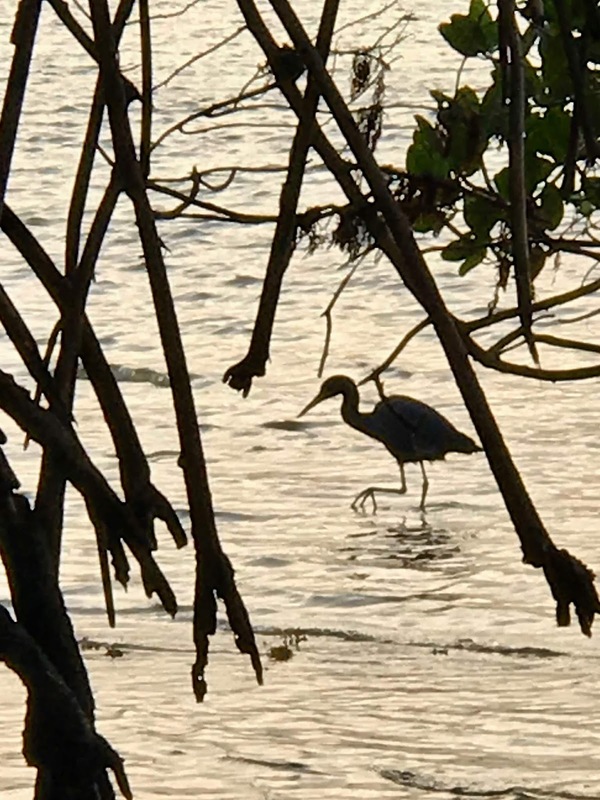 On Friday evening, during our brief but cool happy hour, the little blue heron was back again and I was able to get a nice image of the bird silhouetted against the water. Despite the less than ideal weather, this January trip to Florida has been great. 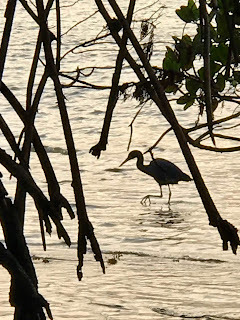 I am looking forward to spending a lot of time in Florida in the future.